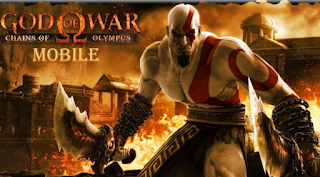 God Of War Mobile Edition MOD APK is an Android action game, the famous God of War is no available on the Android devices, the game is not English and there are no any settings to change but you can easily get a hang of it because the controls and settings are straightforward so you won’t find it hard to navigate. The God Of War Mobile Edition provided will have unlimited coins and souls in the game. The game is not a 3d or first-person game, you will have a view from the side and you will play as Kratos, finishing your enemies and completing levels. God Of War Mobile is a very addicting game, and the game is still yet to come on the official play store, it is nowhere near as cool as the new PS4 version but for mobile devices I really loved it, the epic boss fights in the game are awesome and you will have to take down the same boss Kratos, as you would on the console game.